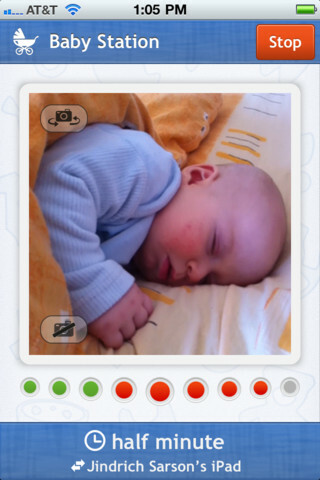 Baby Monitor 3G is one of those obvious apps that many people with kids will find useful. Baby Monitor 3G turns any two iOS devices into a baby monitor that transmits both audio and video. All you need to do is install the app on either an iPhone, iPod Touch, or iPad and pair it with another similar device. Then just put one in the baby's room and monitor it from the other device. Baby Monitor 3G works over any network (not only Wi-Fi, but also on 3G or Edge) which makes it work over any distance (although you probably don't want to turn it on and just drive away without your baby :) and makes it super reliable. It also works 2-way, so you can speak to your child in their room by talking into the iPhone on the other end. Additional features it offers is a Baby Camera function to see what is happening in the kid's room and it alerts you when it detects sound in the baby's room. You do need to install BabyMonitor on two devices but you don't need to buy it several times for each device, just use iTunes home sharing or use the same iTunes account to download this application onto more devices. 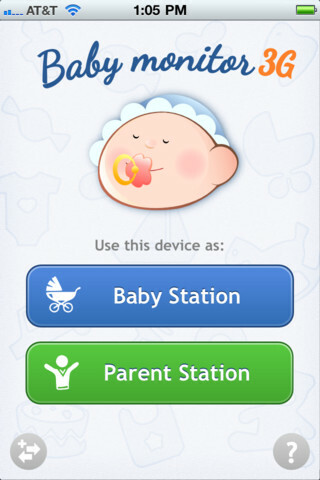 Baby Monitor 3G works on iPhone, iPod Touch, or iPad.